Indianapolis Colts fans have even more reason to be encouraged after Andrew Luck&apos;s excellent comeback season in 2018. 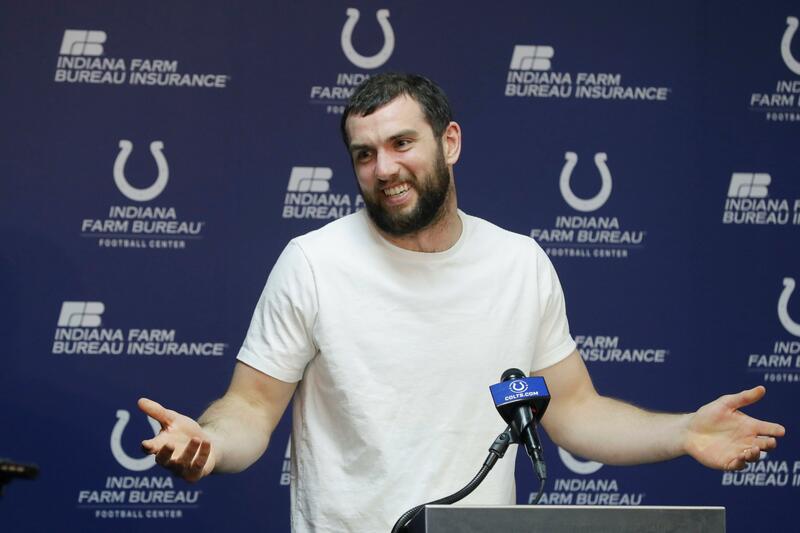 The 29-year-old Luck said he&apos;s in the middle of “probably the best offseason I&apos;ve ever had,” according to CBS4Indy.com. That should be welcome news for Colts fans, who constantly worried about the state of Luck&apos;s shoulder last offseason. The NFL and NFL Players Association announced they will take part in regularly scheduled meetings to discuss a new collective bargaining agreement. The NFL and NFLPA issued the following statement: "Today, the members of the NFL&apos;s Management Council and the NFLPA&apos;s Executive Committee met to discuss negotiations for a new collective bargaining agreement. The League and the Union have committed to meet regularly in the coming months, which will involve staff, NFL leadership, members of the NFLPA Executive Committee and Player Representation." The New England Patriots and kicker Stephen Gostkowski have agreed to a two-year contract, ESPN reported Tuesday. The 35-year-old Gostkowski has been the club&apos;s kicker since 2006. Gostkowski, a four-time Pro Bowl selection, has made 367 of 420 field-goal attempts during 13 seasons with New England. The New England Patriots and kicker Stephen Gostkowski have agreed to a two-year contract, ESPN reported Tuesday. The 35-year-old Gostkowski has been the club&apos;s kicker since 2006. Gostkowski, a four-time Pro Bowl selectio, has made 367 of 420 field-goal attempts during 13 seasons with New England. Tackle J&apos;Marcus Webb&apos;s run in the Colts lineup came to an early end last season, but he&apos;ll be back to try for a longer run this time around. The Colts announced on Friday that Webb has re-signed with the team. It&apos;s an earlier start with the team than Webb had last season. Houston Texans safety and cancer survivor Andre Hal announced his retirement on Tuesday, saying his decision was not health-related. "One thing I&apos;ve learned in life is that change is inevitable and life goes through seasons," the 26-year-old wrote on social media. Four months later, with the cancer in remission, he returned to the Texans and played in eight regular-season games and their playoff loss to the Indianapolis Colts. 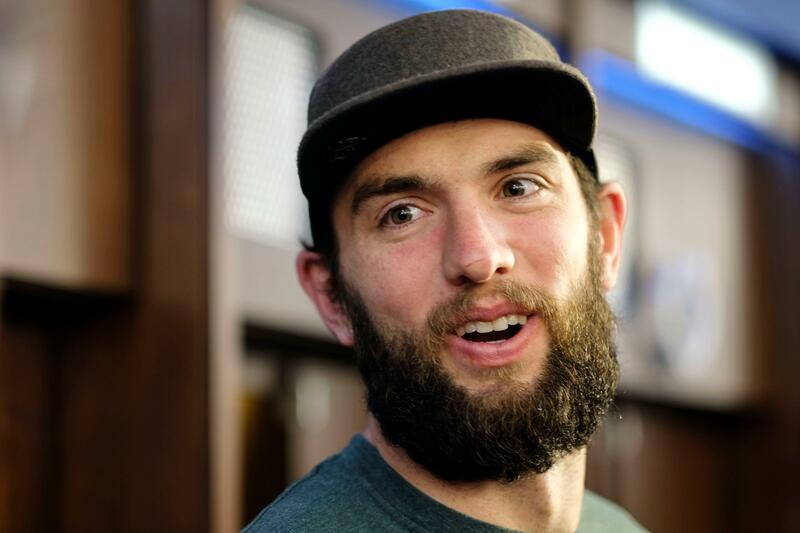 Indianapolis Colts quarterback Andrew Luck married his longtime girlfriend over the weekend, according to the Indianapolis Star. Luck and Nicole Pechanec, both 29, reportedly were married in the Czech Republic, where she had trained as a gymnast in her teens and later competed with the national team. The two met at Stanford, where Luck was a star quarterback and Pechanec was a captain on the gymnastics team. Free agent linebacker Deiontrez Mount allegedly assaulted an Uber driver on Sunday morning in Denver. According to Stephanie Butzer of The Denver Channel, Mount was cited for simple assault and released after an incident that occurred around 6 a.m. Mount and another person had been traveling in an Uber when Mount cancelled the ride. And as we found out in a new ad for the sports drink Bodyarmor, athletic ability doesn&apos;t necessarily translate to the dance floor. Let&apos;s just say that Luck and Trout must really love Bodyarmor to agree to do a disco dance-off: That&apos;s absolutely amazing. Let&apos;s consider that these guys don&apos;t exactly need endorsement money, considering Trout just signed a $430 million extension with the Los Angeles Angels and Luck is working on a contract with the Indianapolis Colts worth a little less than $123 million (as an aside, it&apos;s pretty crazy Trout&apos;s deal is about 3.5 times larger than Luck&apos;s total contract and also fully guaranteed).